Hello and happy Tuesday. It's time for a new cue word and it's a delicious one this week. Our cue word this week is CHCOLATE, and I guess this is as good a time as any to confess that I am a chocoholic. I love chocolate and could eat it morning, noon and night. The only thing that comes close to the pleasure of eating chocolate for me is stamping about it. So, for this cue word, I pulled out all my stamps that are related to chocolate. I have quite a collection of chocolate themed stamps. I made 5 cards to inspire you guys this week. And, then I ran out of time and had to go eat a chocolate bar. I still have some unused chocolate stamps, so I may be back with some more. OK, who is hungry now? Now, it is your turn. What do you think of when you see the word CHOCOLATE? 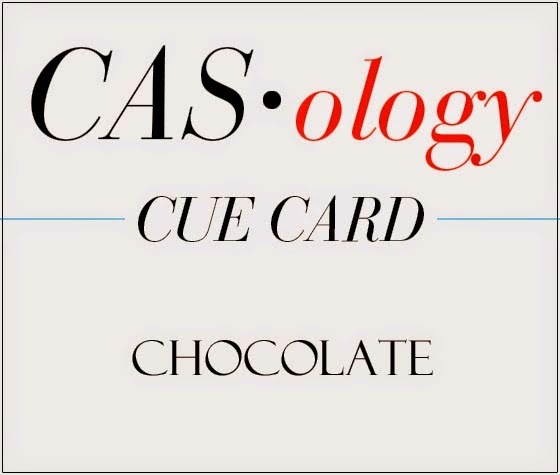 Have some fun with the cue word CHOCOLATE, and then please link up your creation on the CASology blog by Monday at noon (CST). Check out the beautiful designs from the CASology Design Team members and see how they were inspired by CHOCOLATE. Don't forget to keep your card Clean and Simple. 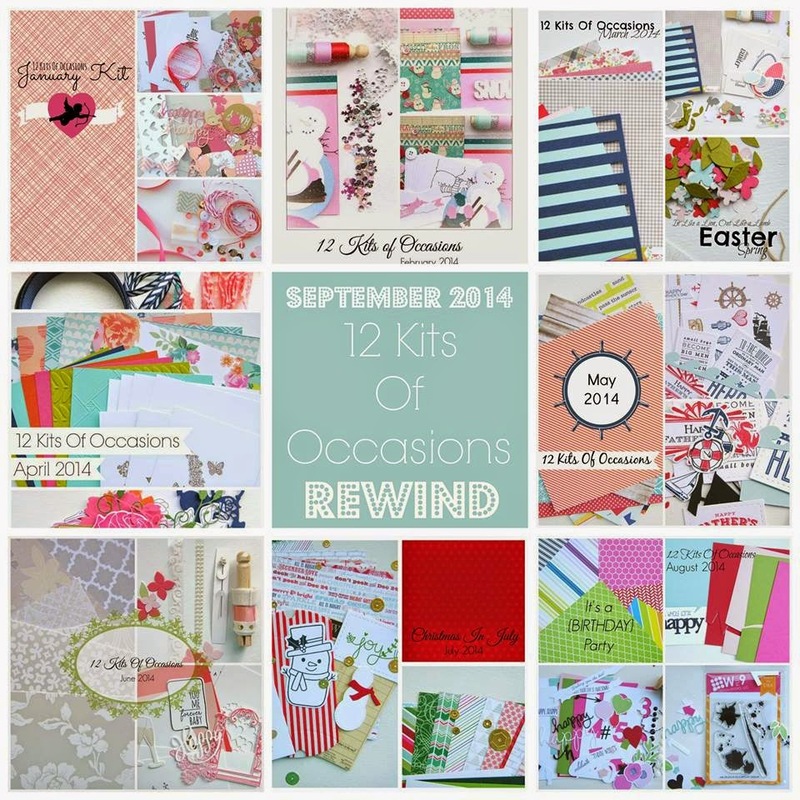 This is such a very special month for our 12 Kits of Occasions group. This month, we are revisiting our previous kits--making cards using our leftover supplies. Kara put together this fabulous photo that shows highlights from all the kits this year so far. It is also special because we have invited all of our Guest Designers back as well. It's like a big crafting party reunion. And, I have a very exciting announcement. We have a new permanent member of our group....drumroll please....Lindsey of Occasional Crafting. I am so very excited that Lindsey has agreed to join our group. I started working my way backwards through the year, attempting to make one card per kit. I ran out of time, so I will be back with another post in a few weeks, but here is what I have so far. I have barely made a dent in my leftovers. It kind of looks like I have a big craft store in my house. Now, you can hop on over to the other designers in our group to see what they did with their kit leftovers. 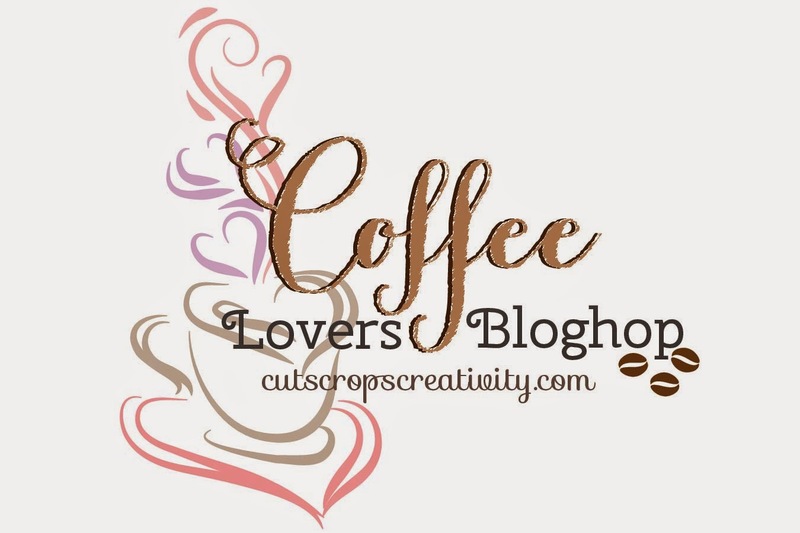 And, you can always get the scoop on our group at our 12 Kits of Occasions blog. Good morning and happy Monday. 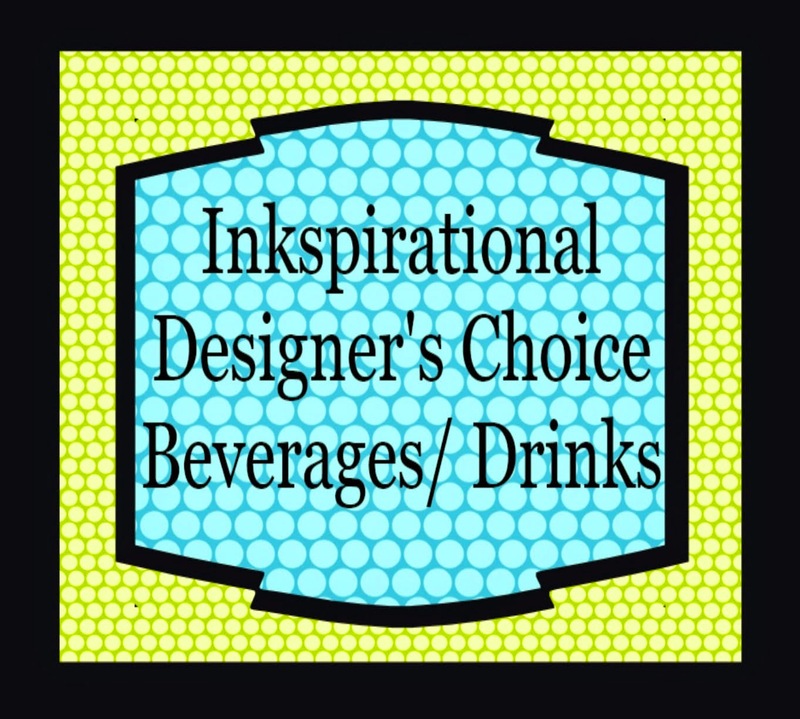 I'm popping in today with a quick card for the Coffee Lovers Bloghop, Inkspirational Designer's Choice Beverages/Drinks Challenge, and Simon Says Monday 'finish with a stamp' Challenge. Funny thing that my husband worked in the coffee industry for many years and I never drink the stuff. But, it does make for a nice card I think. A big shout out of thanks to my BFF Kim, who reminded me that she sent me a bunch of coffee related stuff last year. That is where I got all the ingredients for this card. Thanks, Kim! When I saw this week's CAS(E) this Sketch I knew exactly what I wanted to do. 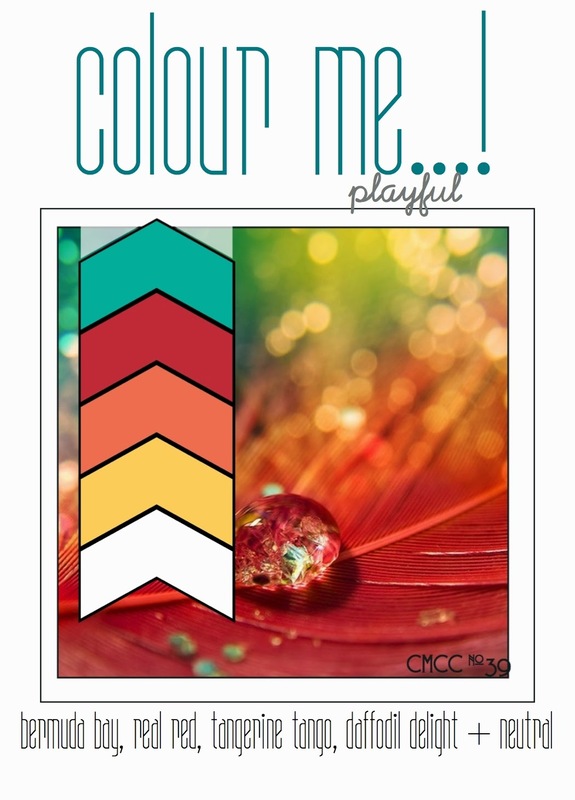 And, the playful colors at Colour Me fit perfectly with my idea. I was very happy to see that I had all the right SU inks for these colors. I made a birthday card for my daughter to bring to a party tomorrow--I used the LID Give a Hoot Gift Card Holder die and some SU pattern paper. This one was so quick and easy. No room to stamp a greeting on the front, so I'll stamp something inside. I am also entering both of these cards at Simon Says Wednesday Anything Goes and Seize the Birthday without toppings. 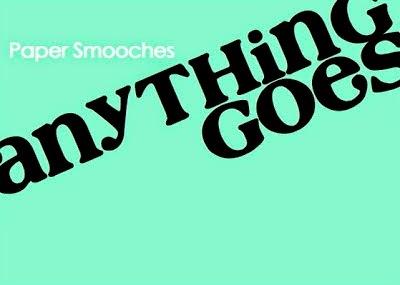 I have a couple of quick cards for this week's Paper Smooches Sparks Anything Goes challenge. I had quite a few paper strips left over from this card, and when I saw what Lindsey did here, I was inspired to make my Get Well card. As I was looking through my Paper Smooches dies, trying to find 'get well', I came across 'hope' and decided to make one more card along the same lines. 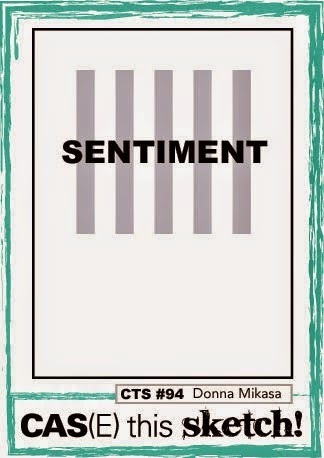 I am also entering both of these cards at Simon Says Wednesday Anything Goes. I missed the last two PTI blog hops, and am so happy to be playing along this time. I used a color and sketch inspiration for my first card. I was inspired to use the Sweater die to make another card for this hop. I am also entering both cards at Simon Says Monday Stencils & Stamps--for stamping, and at Simon Says Wednesday Anything Goes. Today is also Rosh Hashanah--the Jewish New Year. Happy Tuesday, my friends. It's time for another cue word at CASology. This week, our cue word is FLUTTER. What will you think of this week? Perhaps the flutter of a beating heart? I went with my first thought, which was butterfly. I used the same set I used last week, only this week I just used the dies. I've been seeing so much vellum around lately, so I decided to jump right on that trend. I cut a solid butterfly from Life is Beautiful out of Raspberry Fizz paper and layered a detailed butterfly die cut out of vellum right on top. I adhered using 1/8 inch score tape just in the middle, then covered it up with some pearls. Now, it is your turn. What do you think of when you see the word FLUTTER? 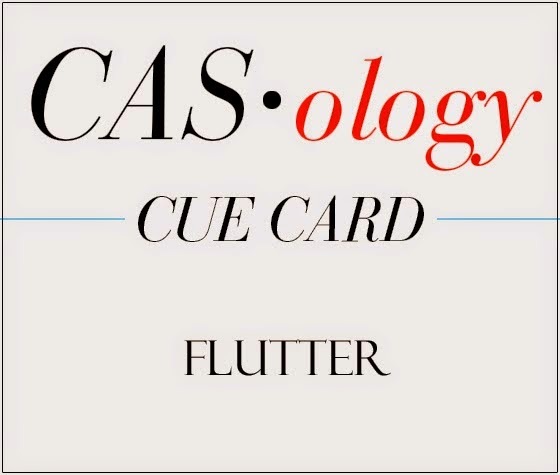 Have some fun with the cue word FLUTTER, and then please link up your creation on the CASology blog by Monday at noon (CST). Check out the beautiful designs from the CASology Design Team members and see how they were inspired by FLUTTER. Don't forget to keep your card Clean and Simple. Hello and happy Monday. Despite my house guests, I was able to sneak a bit of crafting time in this weekend. 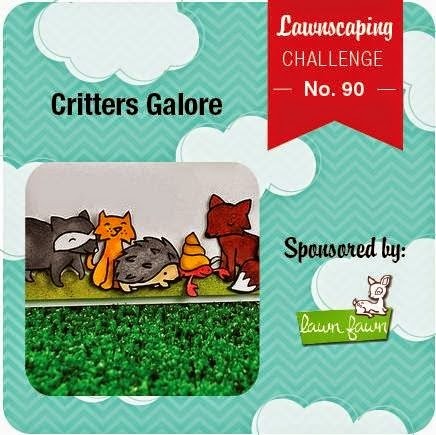 My first card uses this week's sketch at CAS(E) this Sketch #93 and the challenge at Lawnscaping #90: Critters Galore. I broke open my NBUS Lawn Fawn Get Well set to make this get well card suitable for a young person--always good to have one or two of those in my stash. I die cut, stamped and colored the little images from the set, and then adhered them at various heights to my card front, which I impressed with my PTI Hexagon Cover Plate for a little quilted dimension. If I were not over the limit, I would be linking up at Darnell's NBUS challenge--but I am mentioning it here just in case you have been living in a cave or under a rock--and you are not familiar with this challenge. 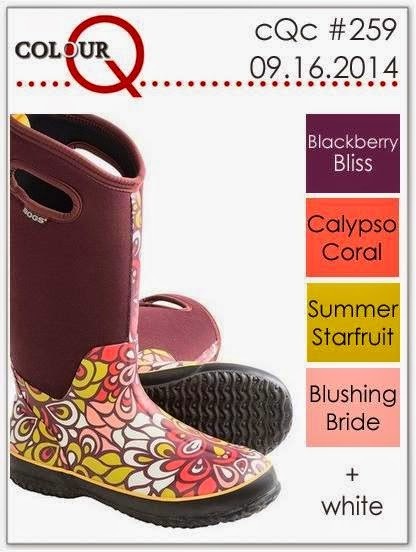 Use something new, link up here, and get a chance to win a fabulous prize. 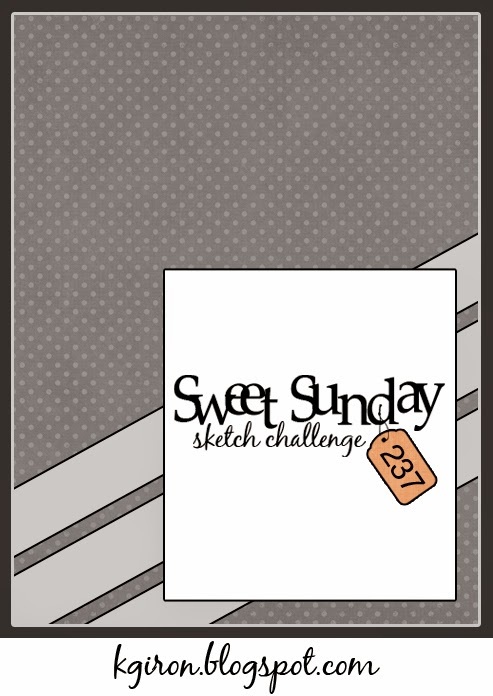 I am entering my next card at ColourQ #259 and Sweet Sunday Sketch #237. I used the extra pieces from the LID Stitches and Stripes Cover Plate, and ended up inadvertently flipping the sketch. The flowers are from WPlus9 Fresh Cut Florals, and the stripes are the extra pieces from the LID Stitches and Swirls Cover Plate. 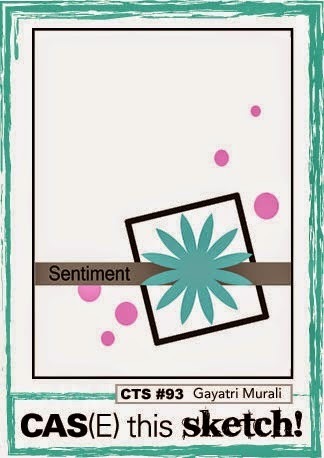 I am also entering both of these cards at Simon Says Monday Stencils or Stamps--because of the stamping. I'm off to do a little blog visiting now. Happy Saturday. 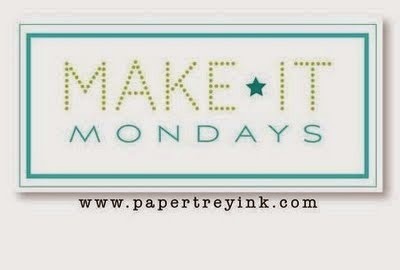 I am popping in to share a card I made for this week's Make it Monday #180, where Ashley has a fun little video explaining paper weaving. 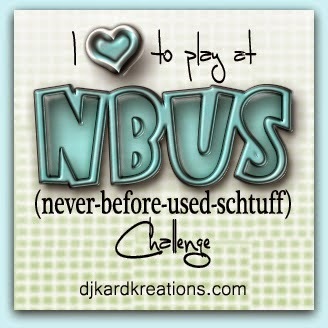 I used some NBUS on this card--a PB&J paper pad from Basic Grey, so I am entering at Darnell's NBUS Challenge #2. Gotta run, as the in-laws are visiting. 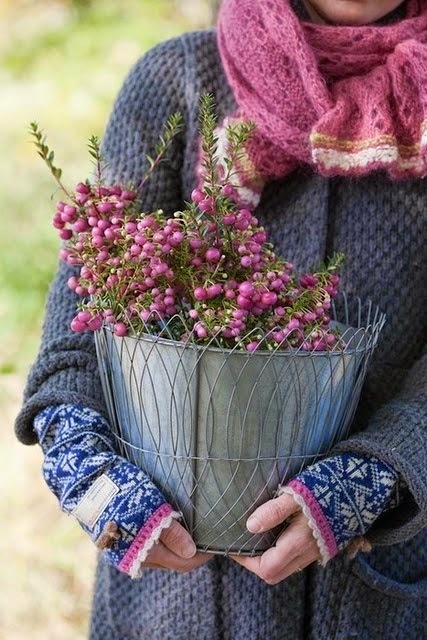 Hope you have a wonderful weekend.